PEERS for Preschoolers – Coming Soon! 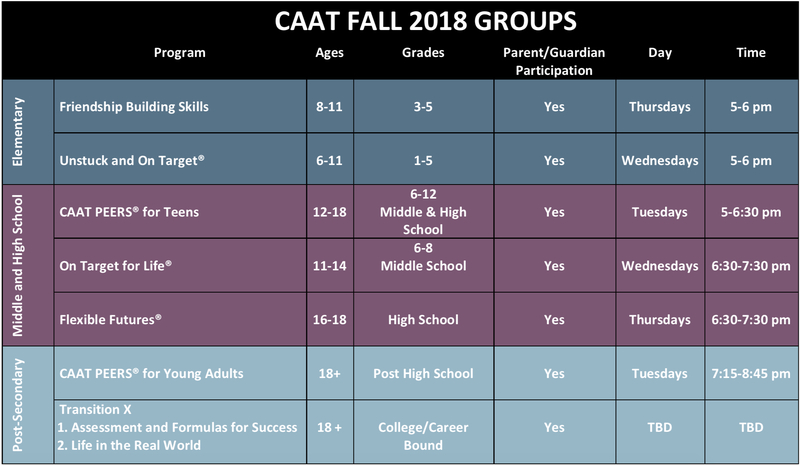 The Center for Assessment And Treatment (CAAT) exists to improve the lives of children, teens, and adults through exceptional and comprehensive care across a lifetime. We are committed to helping people reach their potential through an integrated approach to assessment, treatment, and support.